Michael J. 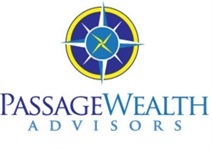 Passage established Passage Wealth Advisors in 2006 in order to better provide quality investment services to his clients. Mike has been successfully providing sound financial advice since 1983, when he joined Kidder Peabody, a major national brokerage firm. He became a Vice President of Kidder in 1988. At Kidder Peabody, Mike helped build the PRIME (Portfolio Review & Investment Management Evaluation) consulting group on the West Coast. When Kidder Peabody merged into PaineWebber in January, 1995, he became a Vice President of Investments. In 1996, Mike joined Oppenheimer & Co. as a Vice President. He became a Director of that firm, providing investment advice to a wide array of clients for nearly ten years, until he established Passage Wealth Advisors. Mike works with high net worth individuals, business owners, family offices, foundations, retirement plans and corporations to service their investment needs. Mike’s mission statement is brief and to the point: “To provide investors the best quality service and potential return on their investments based on their risk parameters”. Prior to joining Kidder Peabody, Mike consulted for six years with security brokerage firms on their organizational and executive search needs. In the mid-1970’s, Mike was Controller and Vice President of Finance for two major real estate development and construction firms. Mike also worked for Harvard University Graduate School of Business Administration, International Division. Mike’s first exposure to the financial industry was as a financial analyst for The Swiss Bank Corporation in Geneva, Switzerland. This broad business background, prior to becoming a financial advisor, has enabled Mike to quickly understand the complicated needs of sophisticated clients and provide top quality service to them. Mike holds Series 3, 7, 24, 63 and 65 securities licenses. He is licensed as an Investment Advisor Representative through First Allied Advisory Services, Inc., a Registered Investment Advisor. He is also licensed to provide Life, Disability, Variable and Long Term Care insurance. Mike earned his B.A. from the University of Washington, where he majored in Economics and Marketing. He earned his M.B.A. from Harvard University Graduate School of Business Administration, concentrating in Finance. Mike is a well known speaker in seminars for investors, lawyers, and CPAs. Mike has been active with many non-profit organizations. He has been President of the Harvard Business School Alumni Association in Washington, Vice President of Development for the Seattle Symphony Orchestra Board, and has served in leadership positions for numerous not-for-profit boards, including the Boy Scouts of America locally. A fourth generation Washingtonian, Mike was raised in Yakima, and now lives in Seattle with his wife, Laura. Mike is an avid boater and an aging skier.